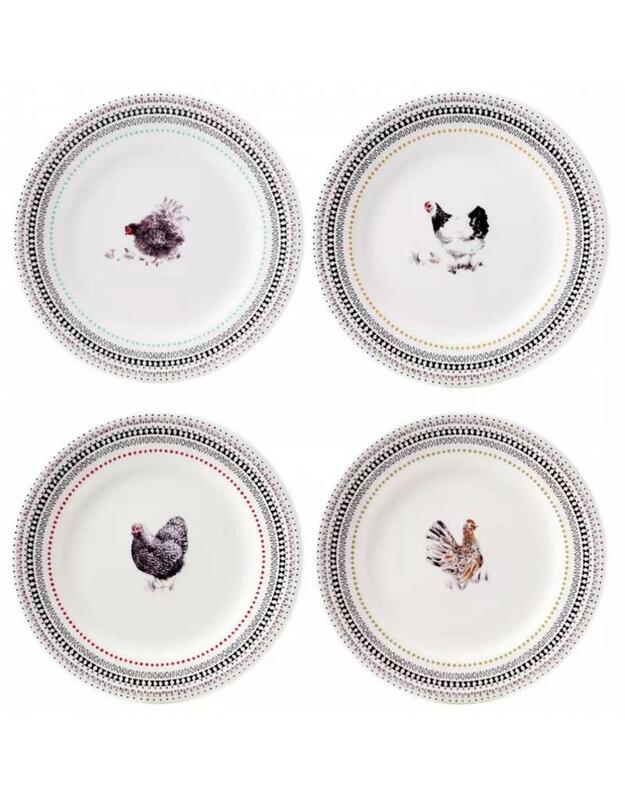 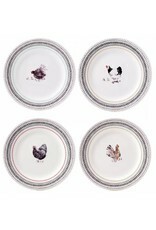 Four different species of hen (Bantam, Serama, Sussex and Wyandotte) adorn these plates, with detailed plumage painted in water color. 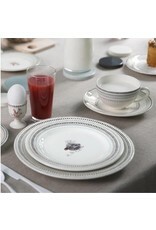 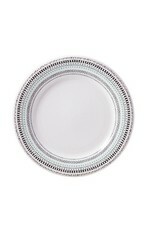 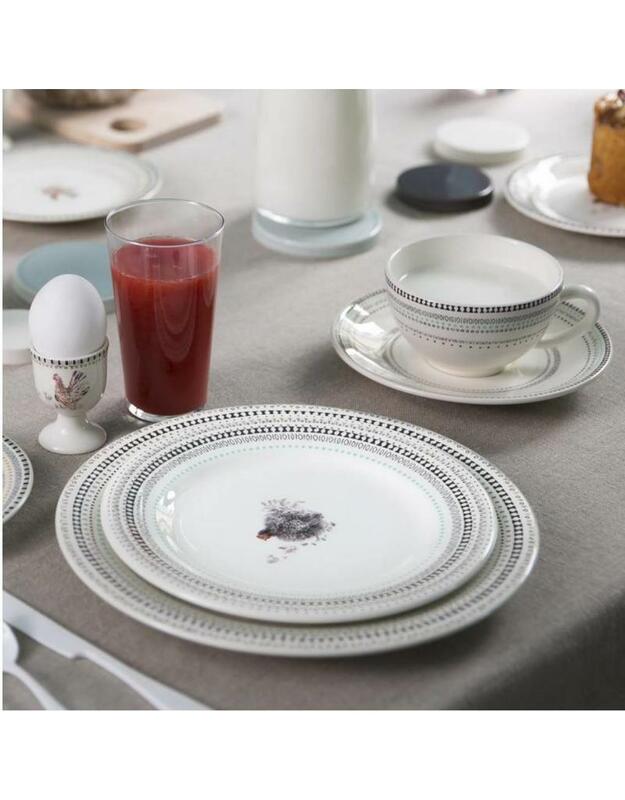 Mix and match with dinner plates that have a modern geometric pattern. 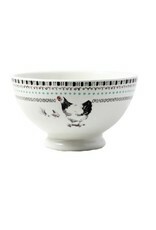 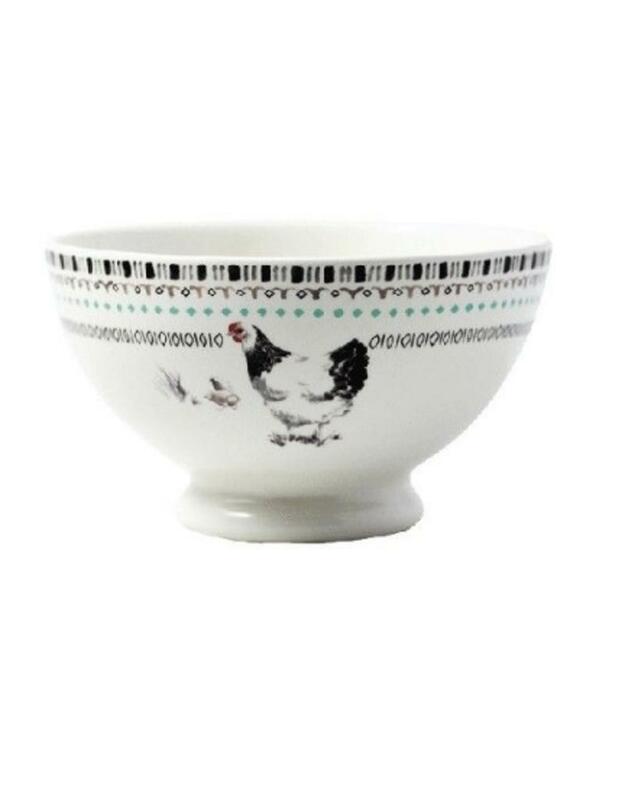 Perfect for any chic kitchen, urban or country.